So, what interests people the most about my trips are not only my experiences, but also and most obviously… My photographs! 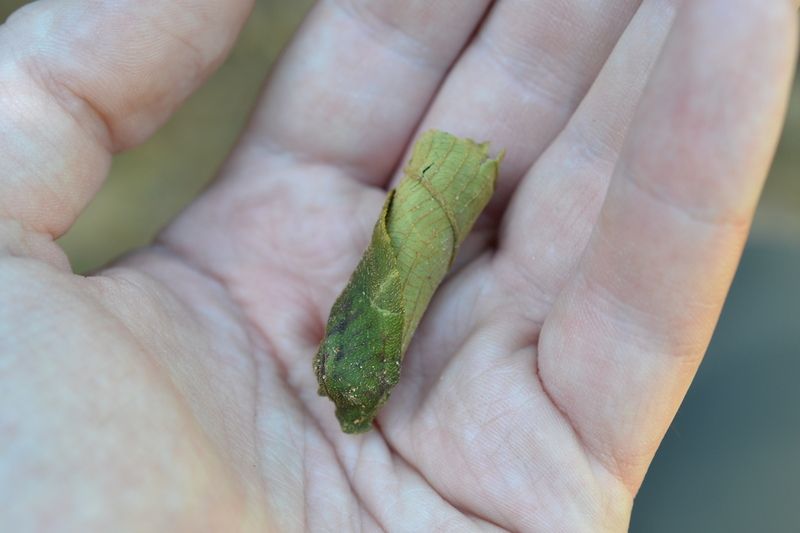 Which, to be honest I entirely agree with because it’s great to simply see these species where they belong. 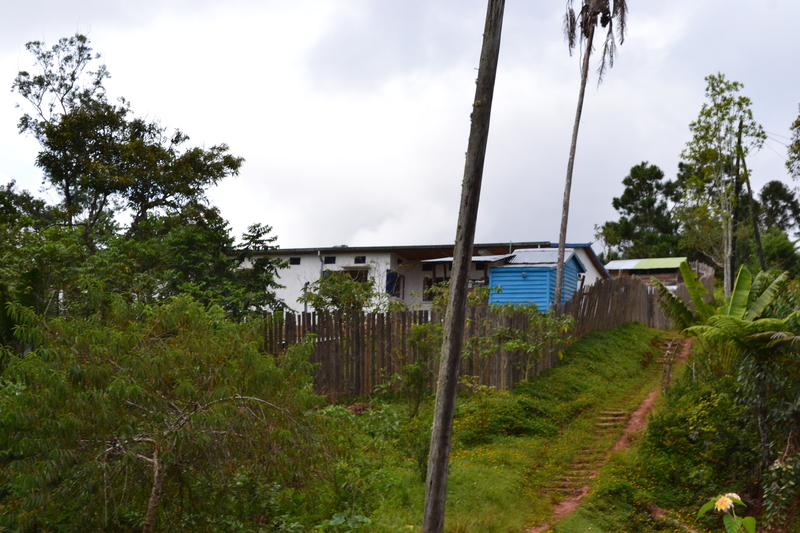 It is Located just across the main road (leading to Andasibe) from the Andasibe-Mantadia National Park, which is situated near to the Analamazaotra river. 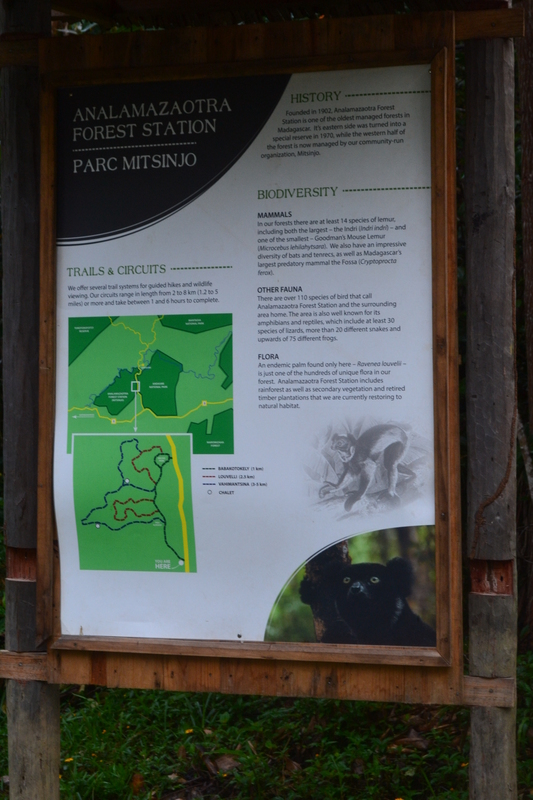 It is composed of a little over 700 ha (2.7 miles) of rainforest and an abandoned timber plantation that is being currently restored to native forest by Association Mitsinjo (Malagasy for “To look ahead to provide for the future”). 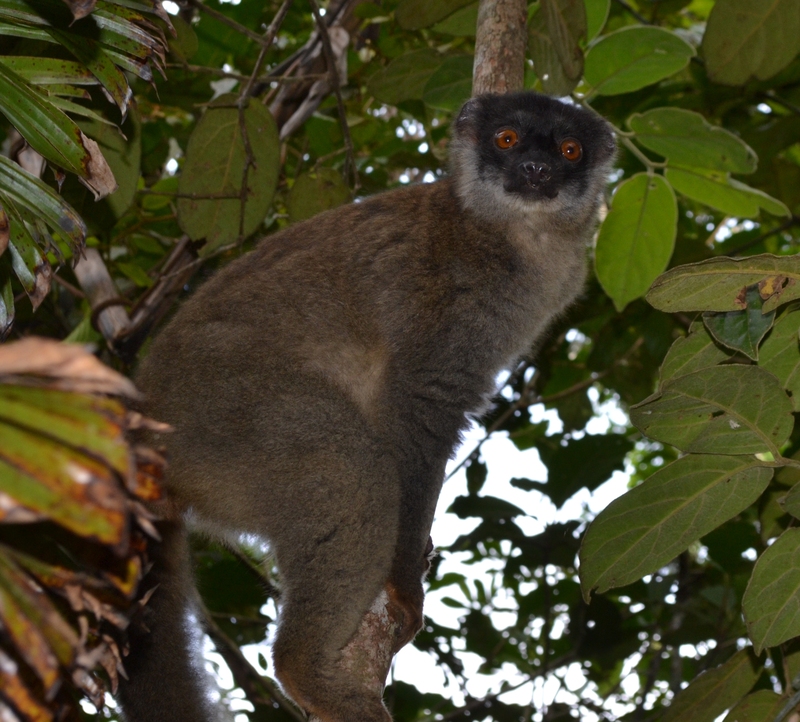 Known primarily as the best place in Madagascar to view the Indri, it is home to at least 12 other species of lemur such as the Goodman’s Mouse Lemur (Microcebus lehilahytsara) and the Eastern Woolly Lemur (Avahi laniger) and is highly popular for Herpetologists for the high diversity of Reptilia, Amphibia and Arthropoda species with vast numbers readily observed (Depending on season). 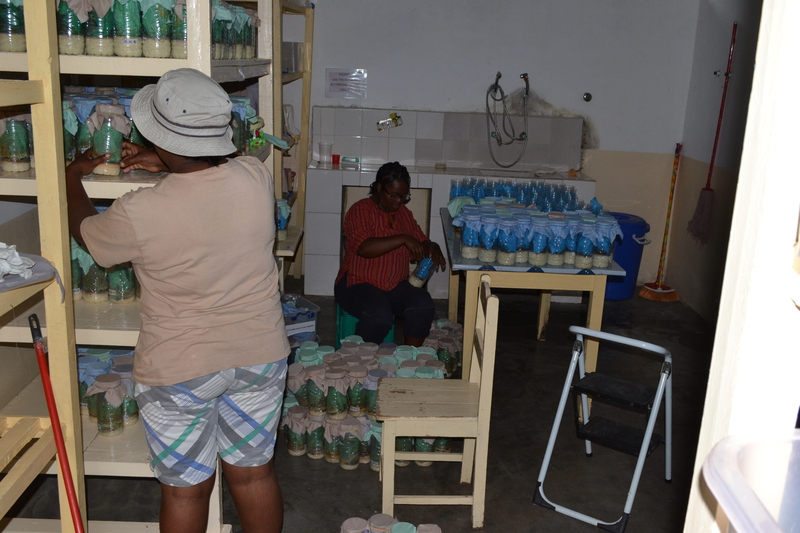 Launched in 2011, the ASACA was the first Biosecure facility in Madagascar. 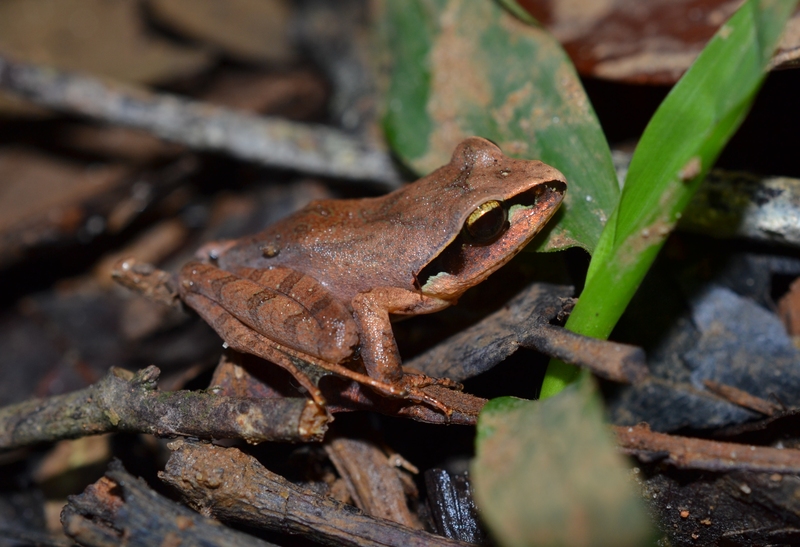 With extremely effcient procedures, they are true pinoneers for the insitu conservation of Amphibia. 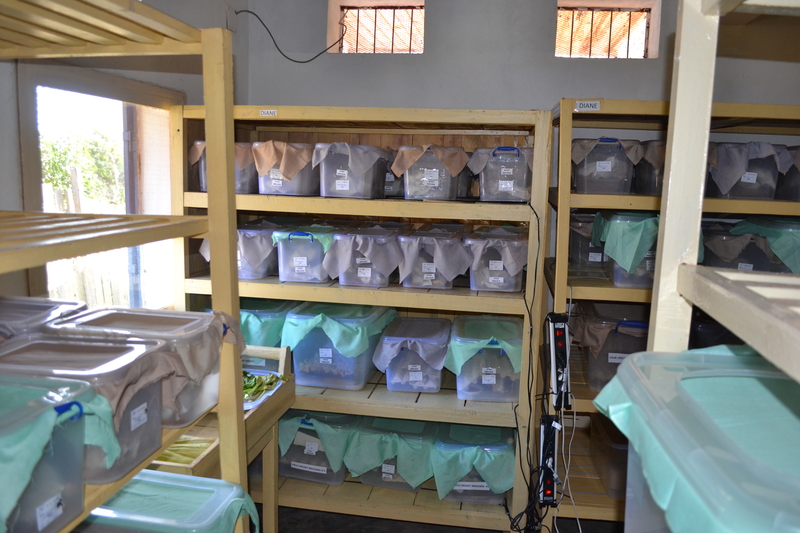 A small portion of the Live Food cultures that are maintained at the facility, pictured are the Cricket colonies starting up. 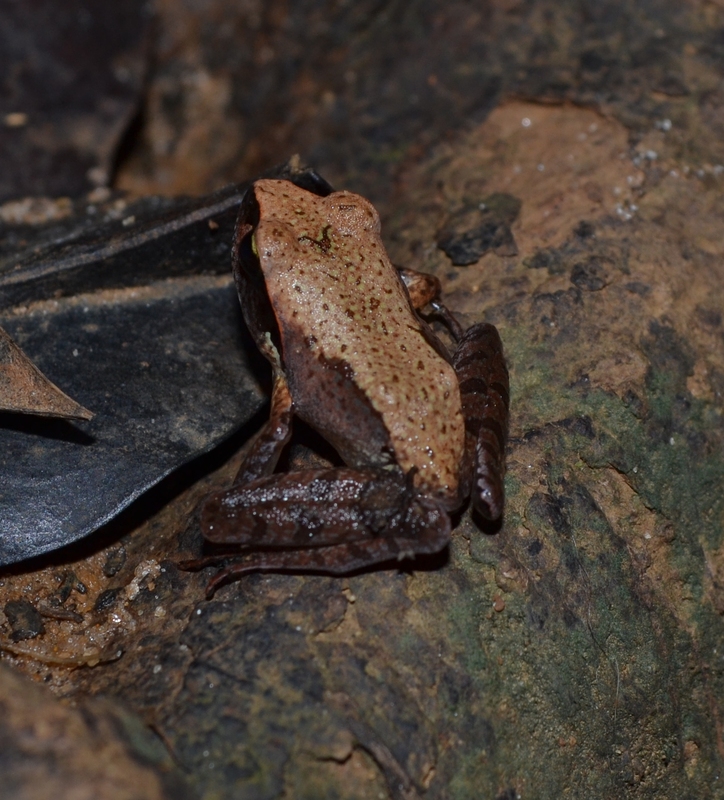 It is also home to the Mitsinjo Amphibian Conservation Facility or Amphibian Survival Assurance Center of Andasibe (ASACA) and the brand new Education centre which will be open to Schools and to the public who wish to see the hard work going into conserving the rainforests in the surrounding area. 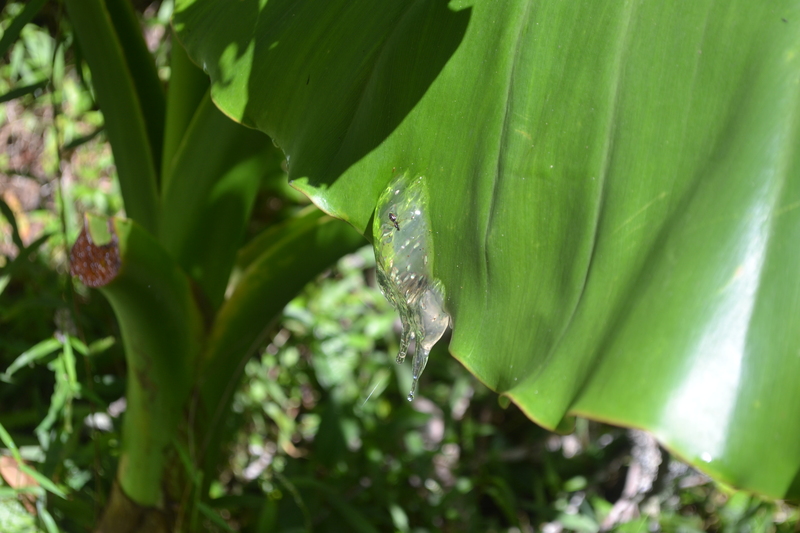 Personally, as I helped at the facility during my time here, I found the facility to be outstanding and in all honesty was highly impressed by the work that Devin Edmonds and his team are doing to conserve many species of Amphibia, including the critically endangered Golden Mantella (Mantella aurantiaca) one of Madagascar’s most iconic species. Diane (Left) and Linah (Right) pictured preparing new Fruitfly cultures for the facilty. 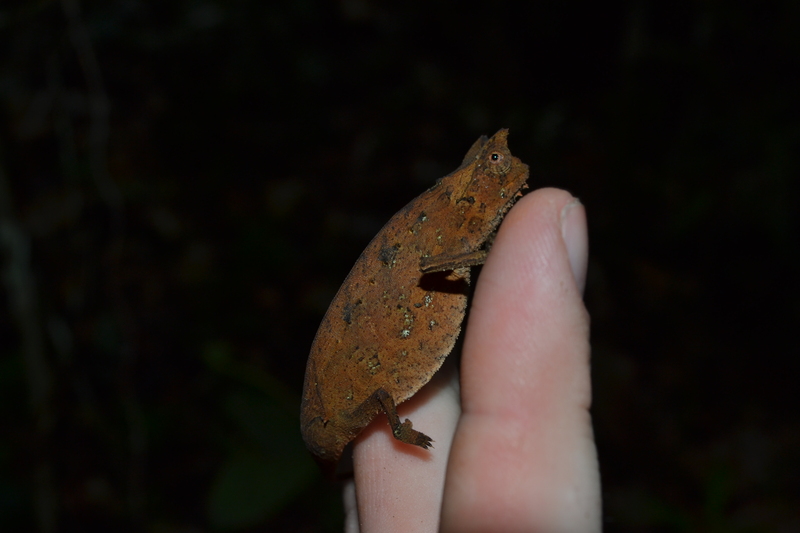 The current wards for the facility include a vast quanitity of not just amphibians (where over 500 specimens reside) but also the very food that is provided for them. All the dietary items are foudn from the forests themselves as starter colonies and are maintained by all the team who take turns in looking after it all. They are entirely self sufficient in this sense, which personally to me makes me wonder why this practice is not performed in Zoological collections in the same or similar manner. Being a huge part of the Analamazoatra Forest Station and the Andasibe-Mantadia National Park (Maintained by both reserves) the Parc a Orchidees is a small part of the Mitsinjo Forest and is home to not only animals, but a wide range of species of Orchid (obviously) that are hugely diverse with some measuring as little as an inch long with flowers smaller still. The centre of this area is a small lake/pond which is filled with the sound of Mantidactylus, Aglyptodactylus and other species of Amphibia there, this is definitely even more so when it comes to the breeding season. 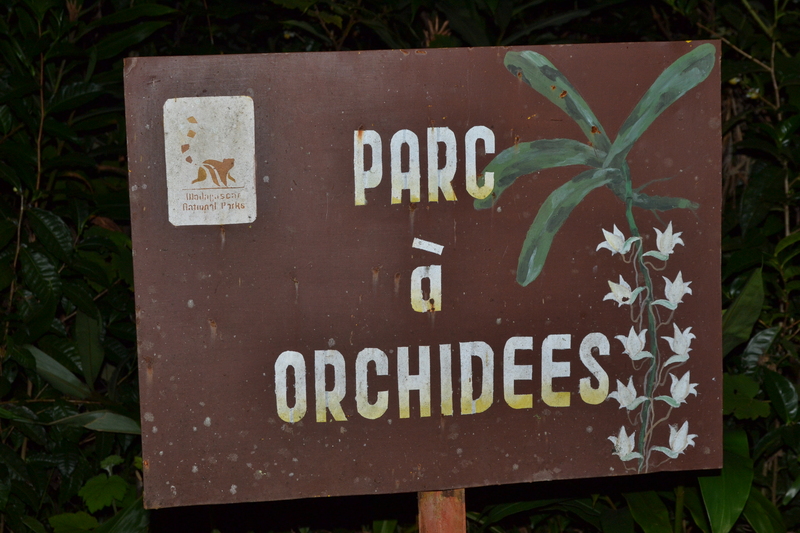 Anyway, I believe it’s time to show off some photographs from my Day Hikes into the Mitsinjo Forest and Orchid Park! 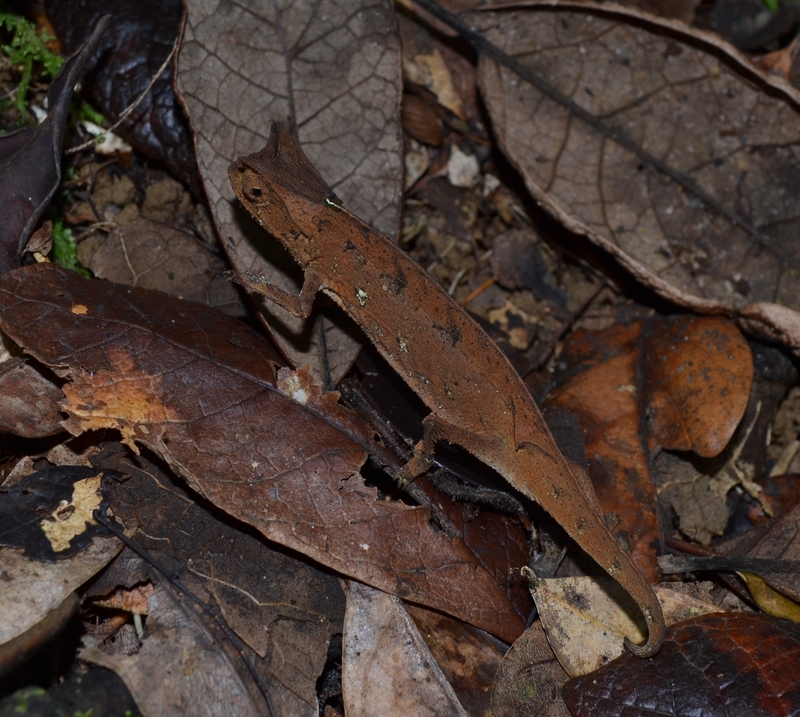 Pygmy Brown Leaf Chameleon (Brookesia supercililaris) male specimen. © 2015 – Joshua Ralph – All Rights Reserved. 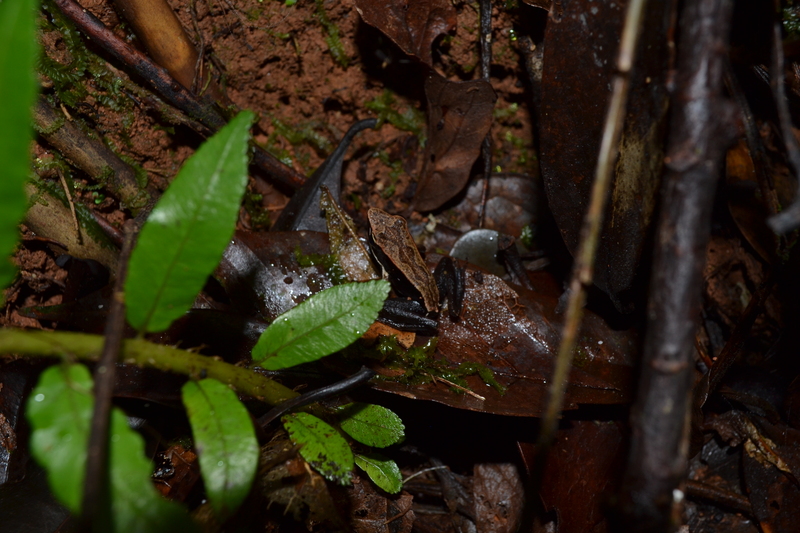 Black-sided Frog (Mantidactylus melanopleura) young. © 2015 – Joshua Ralph – All Rights Reserved. Madagascan Canary Frog (Aglyptodactylus madagascariensis) male specimen. © 2015 – Joshua Ralph – All Rights Reserved. 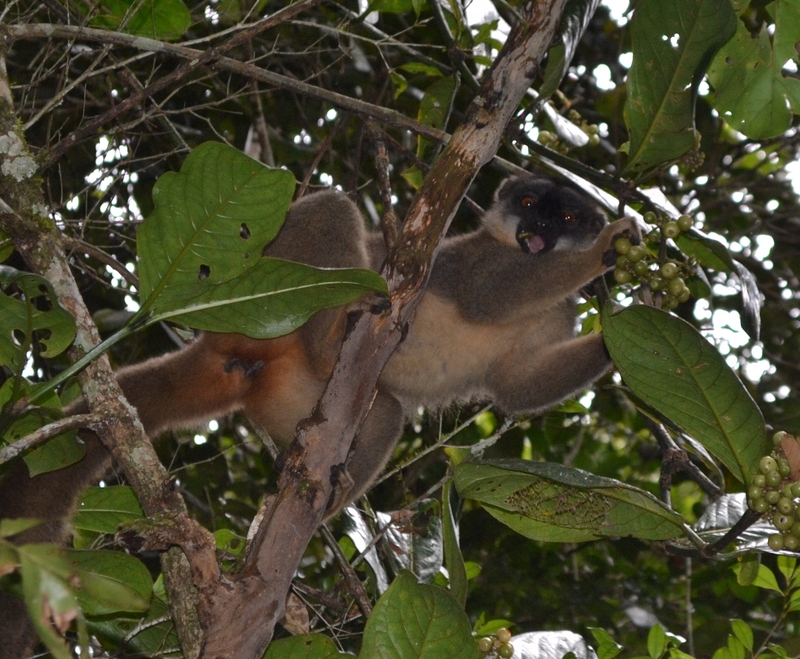 Common Brown Lemur (Eulemur fulvus) feeding in the canopy. © 2015 – Joshua Ralph – All Rights Reserved. 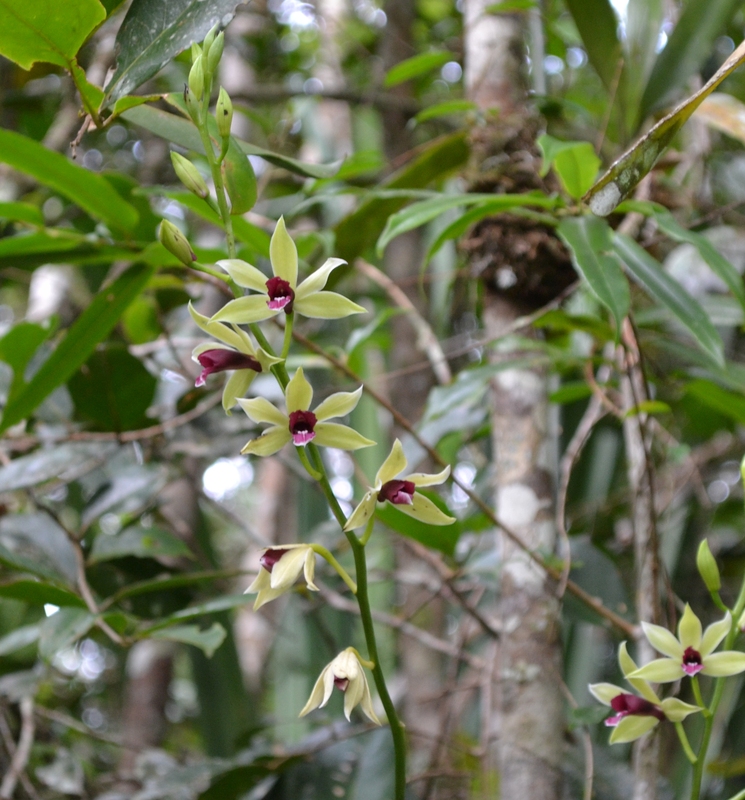 Charming Nun’s Cap Orchid (Phaius pulchellus var. sandrangatensis) in full bloom. © 2015 – Joshua Ralph – All Rights Reserved. 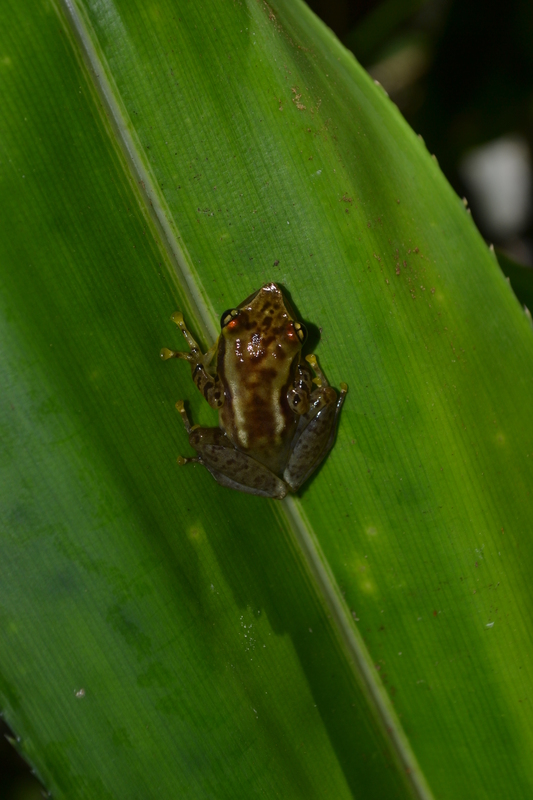 Katharine’s Palm Frog (Guibemantis kathrinae) specimen. © 2015 – Joshua Ralph – All Rights Reserved. 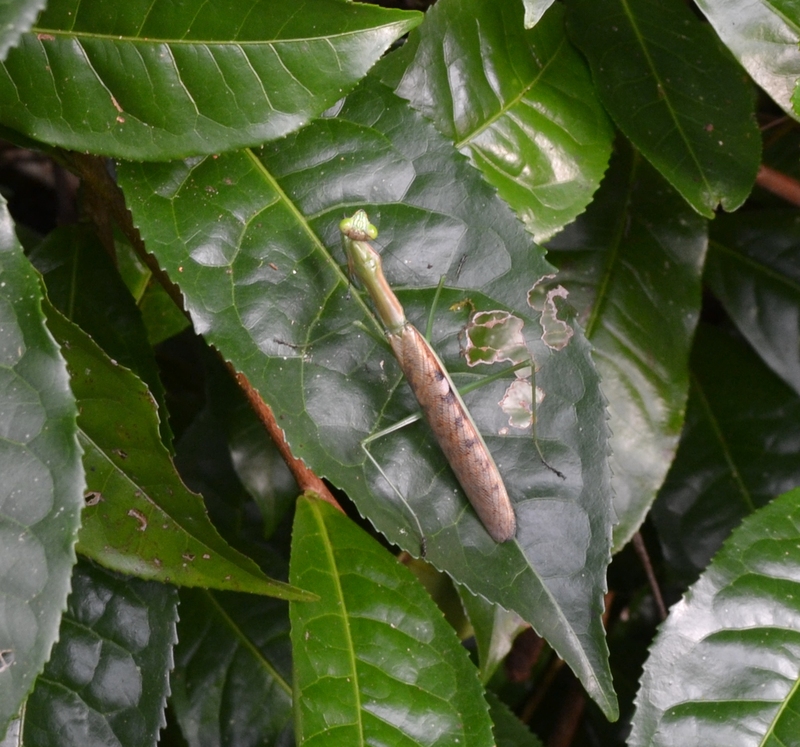 Andasibe Praying Mantis (Mantodea sp. unknown). © 2015 – Joshua Ralph – All Rights Reserved. 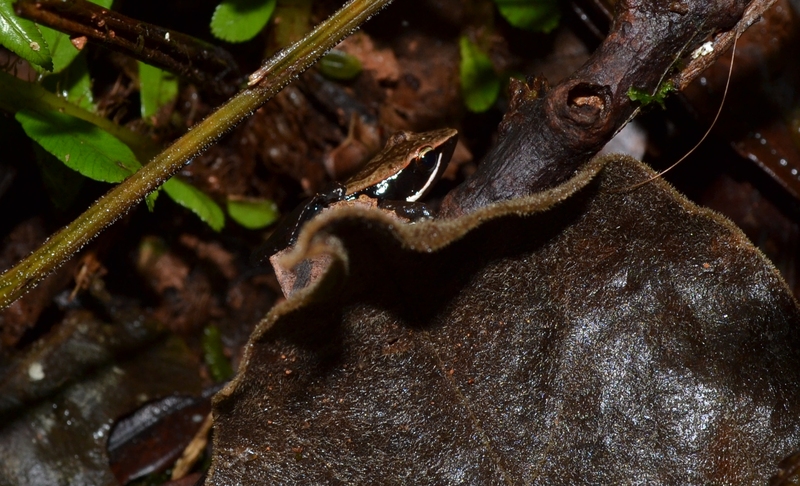 Guibemantis sp. nov. (New Species) “Andasibe” in a Vakona. © 2015 – Joshua Ralph – All Rights Reserved. 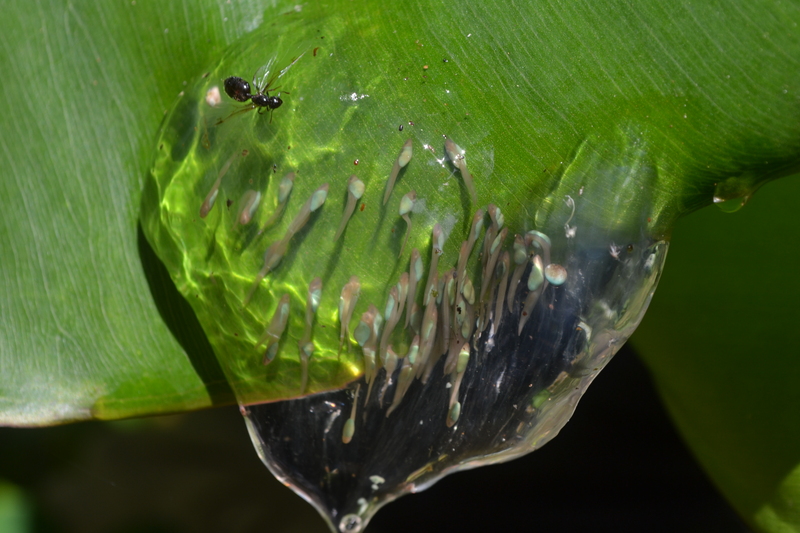 Beautiful Palm Frog (Guibemantis pulcher) spawn under attack from a winged Queen Ant sp. © 2015 – Joshua Ralph – All Rights Reserved. 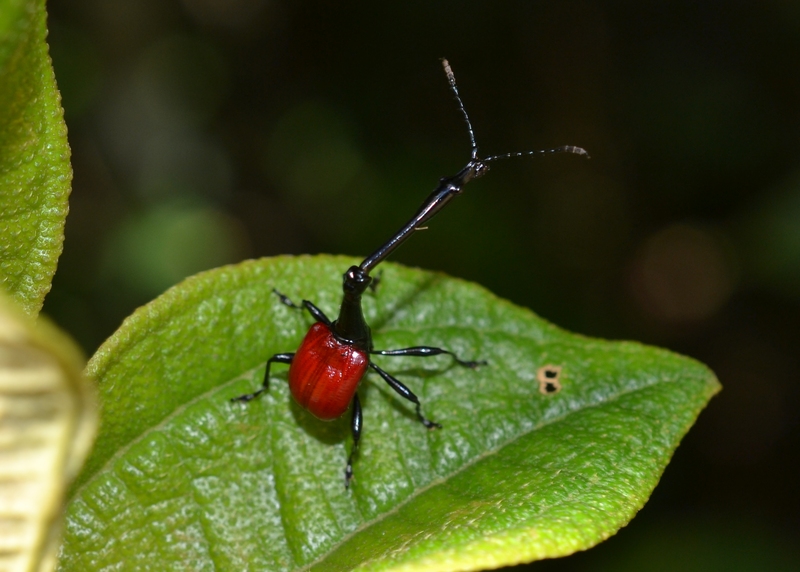 Giraffe Weevil (Trachelophorus giraffa) specimen resting upon a leaf of the Dichaetanthera arborea tree. © 2015 – Joshua Ralph – All Rights Reserved. 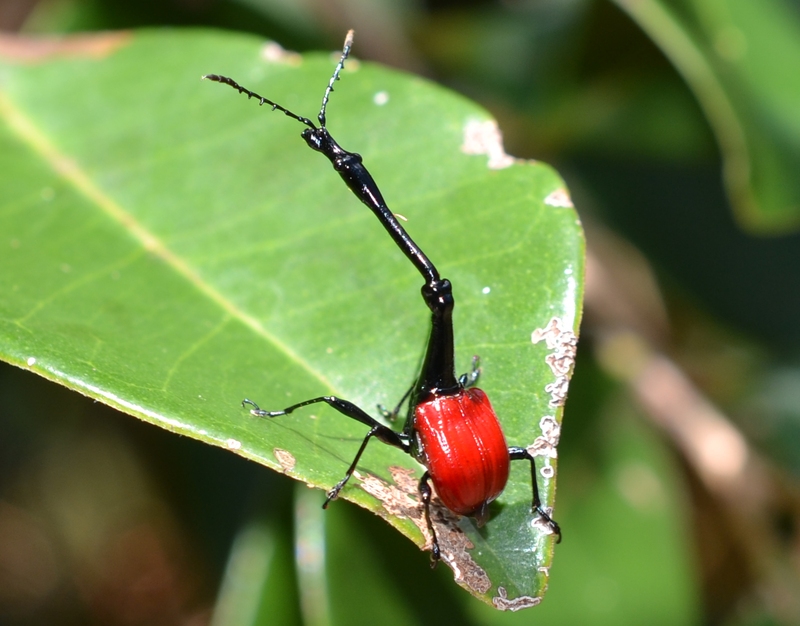 Giraffe Weevil (Trachelophorus giraffa) specimen, amazing to see up close. © 2015 – Joshua Ralph – All Rights Reserved. Anyway, This is the end of the first photo-blog entry for my site, please share and show as many people as you can the amazing nature that is to be found upo the Island of Marvels.